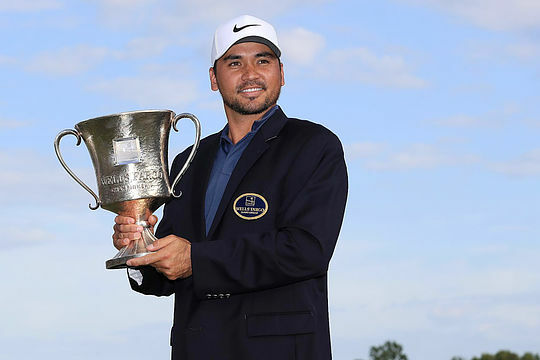 Australia’s Jason Day has won the Wells Fargo Championship by two shots over Aaron Wise and Nick Watney for his second title of the season at Quail Hollow in Charlotte, North Carolina. The former world number one clearly battled with self-doubt during the final round but was able to steady the ship and work his way back from losing an early three-shot lead to almost holing out at the par-3 17th hole. He made the birdie putt, the only player to do so on Sunday, and was able to walk down the 18th with a two-shot lead and wrap up the title with a 12-under total. “This is probably one of the best wins I’ve ever had, just because of how hard everything was today,” said Day. Day’s 12th win on the PGA Tour moves him into second place on the FedExCup Standings and equals the two title wins this season of Justin Thomas, Bubba Watson, and Patton Kizzire. Aaron Wise and Nick Watney tied for second at 10-under after Watney sank a 59-foot putt at the 18th to move alongside Wise. Phil Mickelson carded a 2-under 69 to finish at 7-under and in outright 5th place, a shot behind Bryson DeChambeau, who will be rueing his opening round 4-over 75. Tiger Woods couldn’t find his game on Sunday and limped home with a 3-over 74 to finish 14 shots behind Day. It was the first time since 2014, and only the 11th time in his career, that Woods failed to make a birdie in the final round of a tournament. Greg Chalmers was the next best of the Australians finishing in a tie for 21st with Adam Scott continuing his woes after missing the third round cut by a stroke. Rod Pampling, Aaron Baddeley, Geoff Ogilvy and Ryan Ruffels missed the weekend cut. The PGA Tour now moves to TPC Sawgrass for The Players Championship, a tournament that is considered by many as the fifth major. In what will be a rare treat for fans, Tiger Woods will be paired alongside Phil Mickelson and Rickie Fowler for the opening two rounds.